The band and choir trip to Chanhassen Dinner theater will still be traveling to see the show today. We ask that students please check their email for an important message from Mr. Scaffidi. 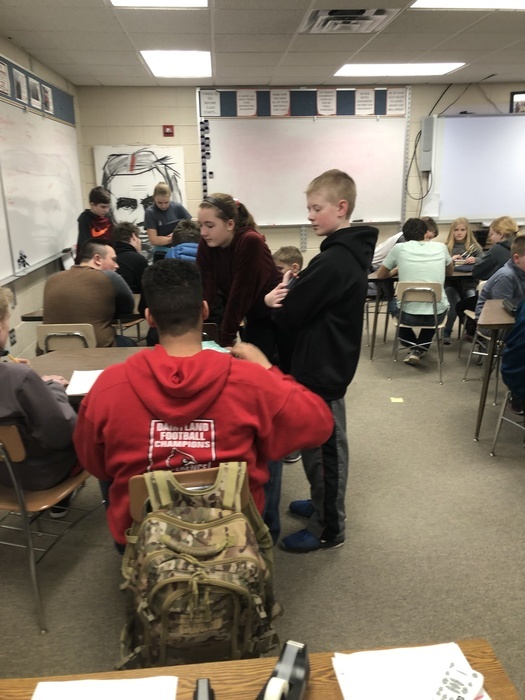 Mr. Hanson's group of Juniors had the opportunity to help guide some of our 6th grade students through a character building lesson during homeroom on March 5th. The group stepped up and led by example. Well done Mr. Hanson and crew! General Notice: The Trempealeau County Sheriff's Department will be using the vacant Strum Primary School for a training exercise on Tuesday, March 5th during the day. Several law enforcement vehicles will be in the area as a result. 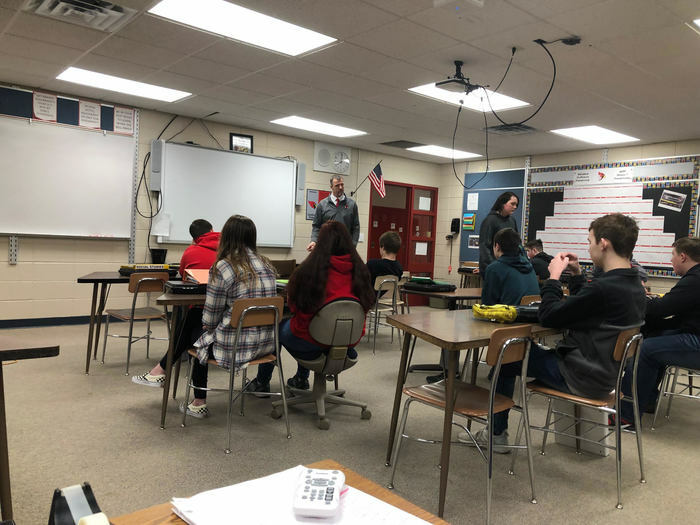 Mr. Hanson’s Social Studies 9 classes have been learning about Wisconsin governments this year. They are currently studying local school districts. Mr. Kulig dropped by today to talk about how school districts are funded. The girls basketball team has advanced to sectionals. 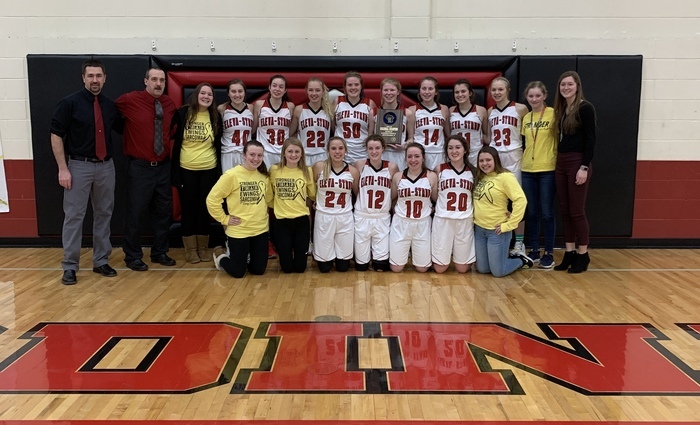 The sectional semi-final game will be held in Arcadia on Thursday, February 28th @ 7:00 p.m. Tickets will be on sale at the MS/HS office from noon on Wednesday the 27th until noon on Thursday the 28th during regular office hours. The Ladies' Regional Final game WILL BE held tonight at Eleva-Strum Central High School. Doors will open at 6:00pm, tip at 7:00pm. Come on out and support our Lady Cards! Sunday open gym gym is canceled today. A blizzard warning is in effect until 6 pm and travel is not advised. Congratulations to Brianna Nelson on scoring over 1,000 points in her Varsity career. Nice support from the boys as well. The Girls' Regional Final game vs. Bangor has been postponed until 7:00pm on Monday night. The game will be at Eleva-Strum. School will be closed Wednesday, February 20th. The National Weather Service has issued a winter storm warning for our area. Heavy snowfall rates are expected this morning and the snow is predicted to continue until 6 pm. Beginning Monday, February 18th the middle and high school day will be lengthened by 8 minutes, 7:55-3:25. Afternoon buses can be expected 3 minutes later than normal. Feb 28 and March 1 will now be full student days. Conferences will be 4:00-7:30 pm on Feb 28 and March 4. Contact any school office if you have questions. Thank you. School will be delayed 2 hours today so that road crews can clear snow. Several areas of drifted snow exist due to the high winds overnight. School will be closed on Tuesday, February 12th. A winter storm warning is in effect with significant snowfall expected throughout the day. Be safe if you must travel. School is closed on Thursday, February 7th. The National Weather Service has predicted with high confidence that our area will be impacted by several inches of snow combined with high winds throughout the day. Hazardous travel is expected, please be safe. School will be two hours late today. Several secondary roads still need to be plowed and the delay will give crews time to clear snow. Girls Varsity & JV Basketball game for this evening at Fall Creek has been cancelled. We will update if and when a make-up date is found. Boys Varsity & JV Basketball for this evening against Augusta has been postponed until 6:00 & 7:30pm on Saturday, February 9th. 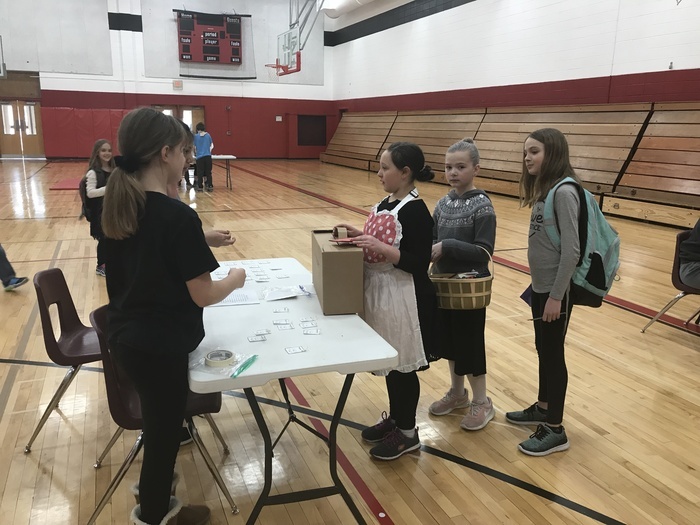 Public Notice: The School District of Eleva-Strum will be submitting an application for a competitive federal grant to fund a 21st Century Community Learning Center. The purpose of this grant is to establish after school learning centers within the school. 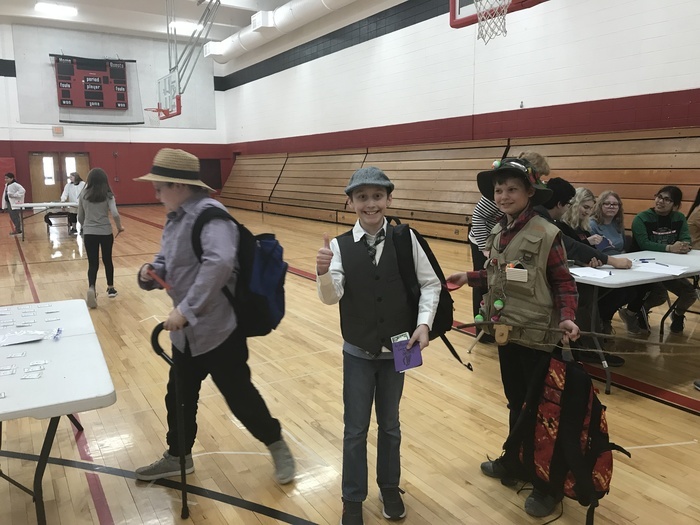 National History Day Our National History Day presentations have been cancelled this evening due to the weather. They have been rescheduled for Monday, February 11th, from 11:45am - 3:20pm. School is closed on Monday, February 4th. Many roads are still covered in ice and precipitation continues to fall. Due to ice covered roads, school will be delayed two hours this morning. School and all evening activities are canceled for Thursday, January 31st due to the near record low temperatures that are expected. Please use caution if you must travel. The forecast looks promising after tomorrow so we hope to resume classes on Friday. Due to the dangerous wind chills expected over the next few days, school will be closed Tuesday, January 29th and Wednesday, January 30th. We will continue to monitor the weather in hopes that school can resume on Thursday. Due to the winter storm warning, school will be closed on Monday. School will be running 2 hours late today due to side roads still being slippery. Hello~ This is a reminder that when dropping children off at the new E-S Elementary School please do so on the West side. Also starting today, we are asking that parents drop off and pick up children in the vestibule area without walking down to their rooms ACT 143. Softball Coaches Needed The School District of Eleva-Strum is looking for both a Varsity and JV Softball coach. If you are interested please contact Rich Roginski by phone (715-695-2696 x2006) or email (roginskr@esschools.k12.wi.us) by February 1st if interested. Eleva-Strum is and equal opportunity employer. Some bus routes may be delayed this morning due to unexpected conditions on secondary roads. School is still running as normal, but please anticipate some abnormal pick-up times. Verification and Drawing of Lots will be held at the Eleva-Strum School District - District Office on January 8th, 2019 at 9:00am. Open House An open house will be held on Friday, January 4, 2019 at the new Eleva-Strum Elementary from 12:00-7:30 pm. A dedication ceremony will be held at 5:30 pm. The public is invited to attend. Hope to see you there! HISTORICAL COMMITTEE MEETING WHERE: Central Library WHEN: Wed. Nov. 14, 5:00 pm Eleva-Strum School District is planning to celebrate its history at the community open house event on Jan. 4, 2019 as we dedicate our new elementary school. Everyone is invited to attend this informational meeting and to be a part of this group as we look to compile photos, yearbooks, memorabilia, and stories of the country school era, the village school era, up to our soon-to-be one site complex. If you are interested in assisting with this project, please plan to attend. Any questions can be directed to Cory Kulig at 715-695-2696 x2002 or via email at kuligc@esschools.k12.wi.us I hope to see you there! There will be a Fan Bus headed to Bangor tomorrow for the Playoff Football Game. If you are interested in riding please call or email Jessica Bertrang (bertrangj@esschools.k12.wi.us or 715-695-2696 x2010) in the MS/HS office by 3:00 p.m. today. Cost is $3.00. 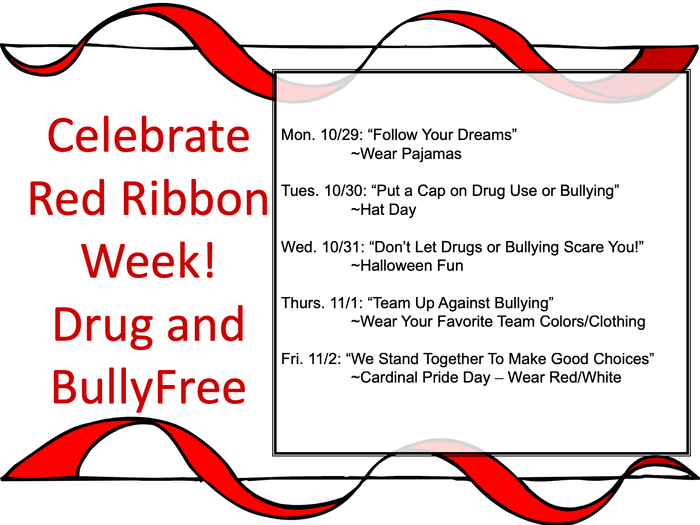 Repost due to incorrect dates on previous post: Elementary students will be celebrating Red Ribbon Week next week to make a stand against Drugs and Bullying. Have fun and dress-up to bring awareness to this cause. Hey Elementary Students! What do you think of your new playground? There were lots of volunteers here to help assemble it. It was a lot of fun and we can't wait to see your smiling faces when you get to play on it. We will have more pictures coming soon after the rubber surface is poured. Stay tuned! Please note that the equipment is not ready to play on yet. Concrete was poured today to hold everything in place ant that needs time to dry. Also, your playground is still part of an active construction site with many safety concerns. This is a reminder that there are Parent Teacher Conferences on Oct. 18-19th. There has been an adjustment to the early release time for Thursday Oct. 18th. 4k-grade 3 will be dismissed at 12 and the MS/HS will be released at 12:10. There will be no school on Friday the 19th due to conferences. Cardinal Manufacturing Workshop! Over 100 people from around the country are on-site today to learn about the mission of Cardinal Manufacturing and our partnerships with local business and education. The board meeting will not be streamed tonight due to technical problems. The meeting is being recorded and will be uploaded and available tomorrow morning. Vintage Cardinal Athletic Sale! On Friday, October 5th at 5pm during the Cardinal Homecoming tailgate party, C-Club will be hosting a 'Throwback' Vintage Athletic Sale. Items for this sale include old game jerseys, game bottoms, t-shirts and warm ups from the following teams: boys basketball, girls basketball, volleyball, dance, cheerleading, football, and softball. All items can be purchased at 'free will donation' prices and will benefit all Cardinal Athletics through C-Club. Homecoming Tailgate Party Sponsored by the Eleva-Strum Board of Education Friday, October 5th 5:00-7:00 pm Brats/Hot Dogs, Chips, Cookie, Soda Free will donation with all proceeds benefiting the Pep Club to offset costs of the Homecoming dance. WORK before PLAY! 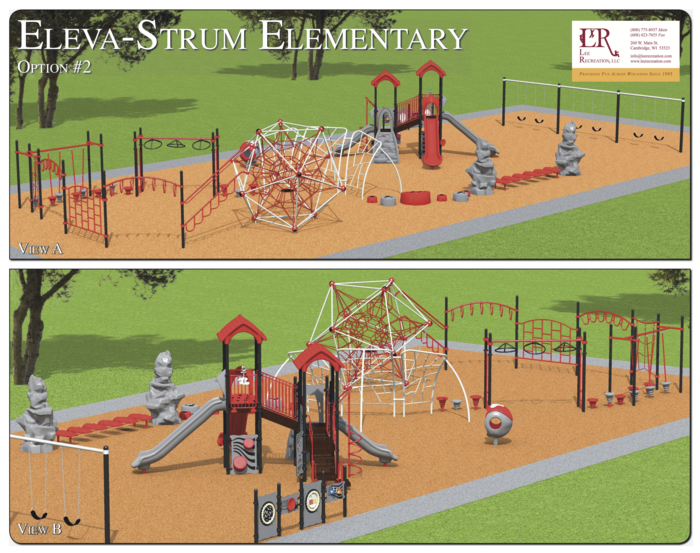 Volunteers needed to assist in the installation of the new Eleva-Strum Elementary playground. When: Friday, October 19th 8:00 am - ? Where: Site of new school Contact Mr. Kempf or Mr. Kulig for more information. Hope to see you there! This is a reminder that Life Touch will be on the Eleva-Strum Campus's to take student photos tomorrow Sept. 13th. Tonight's Varsity Football game at Whitehall has been moved up to a 6:00pm start due to the potential for weather impacts. Please share this information and make the trip to Whitehall to cheer our boys on! Cardinal Pride! New items up for sale and for bid on our website. Bid items include a storage shed, press box, and old scoreboards. Items for sale include many pieces of food service equipment. To view the items go to www.esschools.k12.wi.us and click menu in the upper right, then choose "Items for sale or bid". Contact information is located at the bottom of each of the page. This is a message for parents of student athletes at Eleva-Strum. We wanted to let you know that you can fill out the athletic code forms online by using the following link. 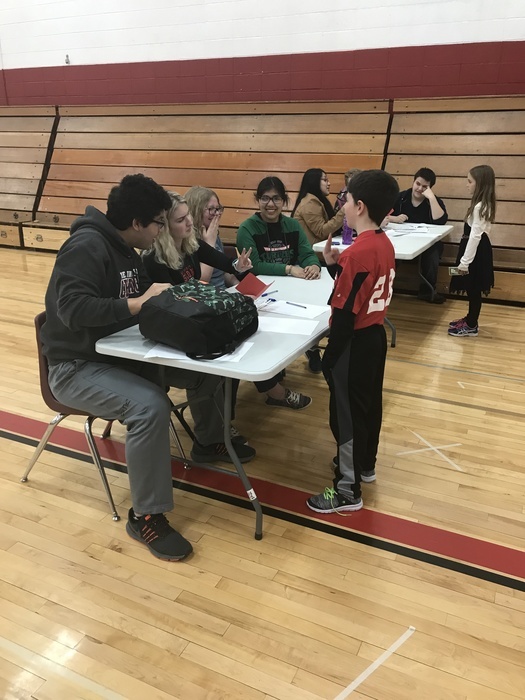 https://esschools-ar.rschooltoday.com Click on Athletic Team Registration and read the athletic policy and concussion forms. Then fill out the forms. Parents and athletes that do not have online access, will be required to attend the face to face meeting on Wednesday, August 1st from 7:00-8:00 P.M. If you have any questions please contact Rich Roginski via email or phone. 715-695-2696 x2006 or roginskr@esschools.k12.wi.us Thank you and have a good evening. 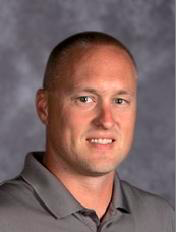 Joshua Skoug has been hired as the new HS/MS Principal for the School District of Eleva-Strum. Joshua is from the Eleva-Strum community, and graduated from Eleva-Strum High School. Joshua attained his Bachelor of Science Degree in Human Performance and Sport from Metropolitan State College of Denver in 2006 and was employed by the Eleva-Strum School District as a Physical Education Teacher from 2008 to present. Joshua earned his Master of Arts Degree in Educational Leadership from Viterbo University this summer. Joshua resides in Eleva with his wife Kathryn and their three children. Joshua will start as Principal on July 16th. How would you like to be a part of earning $6,000 for your music program this summer? Well, here is your chance! This year we have been asked again to perform and volunteer at the Ashley Center for the Arts Festival which takes place in Arcadia, WI, August 9th-11th. We are trying to provide 100 volunteers and give a 20-minute performances. In doing so, Ashley Furniture will donate to our music program $1,000 for the performance and $5,000 for volunteering to work at the event, for $6,000 total. This will be our biggest fundraiser of the year, so it is important for all high school students to perform and volunteer. Click the following link for more information. http://5il.co/3y83 . Rehearsal Schedule: 2-4pm July 30th - Aug 1st, Aug 6 - 9th Performance Schedule: Saturday, August 11th 5:15 - 5:40pm. Sumer School Menu Changes The food supplied from the Federal Government for the Summer School Program is delayed. We will be Serving Pasta with Meat Sauce on June 4th and the 12th instead of Hamburgers. Cory Kulig will be the next Superintendent of the Eleva-Strum School District. Cory is a native of Independence, Wisconsin and graduated from Independence High School. Cory attained his Bachelor of Science Degree in Kinesiology from the University of Wisconsin Eau Claire in 2001 and was employed by the Eleva-Strum School District as a Physical Education Teacher and Coach from 2002 to 2008. 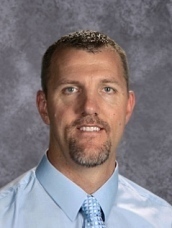 In 2008 Cory earned his Master of Arts Degree in Educational Leadership from Viterbo University and completed coursework for his Superintendent Licensure in 2013. 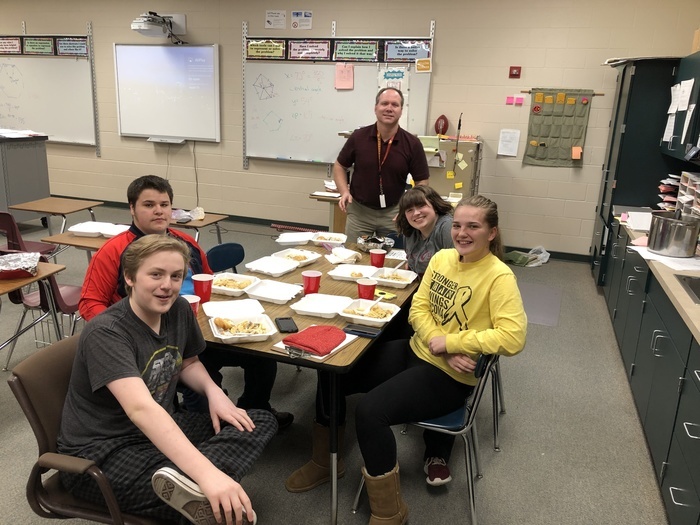 Cory has served as Middle and High School Principal at Eleva-Strum from 2008 to 2017 before accepting a position as Assistant High School Principal in the Chippewa Falls School District this past School Year. Cory resides in Eleva with his wife Maria and their three children. The School Board welcomes Cory back to the District and looks forward to working with him in this new capacity. Cory will start as Superintendent on July 1st. End of the Year Sale Starts Wednesday!!! 50% OFF all in stock clothing items starting Wednesday, May 23rd at 3:30 p.m.! The Red Shed will be open from 3:30 to 6:00 p.m. on Wednesday evening this week! Not able to make it to shop that night? All remaining items can be purchased at the discounted price by contacting the high school office after Wednesday. Sizes, styles, and quantities are limited! Items will not be held for pickup. Central will be having a Chicken Salad Wrap on the 15th of May replacing the Baked Potato Bar. Two more changes in Mays breakfast menu. May 11th and the 23rd, Cinnamon rolls will be replaced with Applesauce Loaf. May Menu Changes, May 10th English Muffin Changed to Pancakes, May 16th French Fries Changed to Tater Tot, May 21st English Muffin Changed to Pancakes and May 22nd Pancakes Changed to Pancake On A Stick. On Friday, April 27, starting at 1:00pm the Students Against Destructive Decisions will be presenting a mock car crash for high school students. This experience will be a great learning opportunity regarding the consequences of drinking and driving. As part of this presentation there will be ambulances, fire rescue vehicles, a hearse, police cars and the Mayo 1 helicopter at Central. This message is to notify parents, staff, and students so they are aware of this ahead of time. When you hear and see emergency vehicles racing to, and entering the school grounds at 1:00 on Friday please do not be alarmed. This is part of a planned exercise. Thank you from the Students Against Destructive Decisions. This is a message for the parents and students of Eleva-Strum. There will be no school today due to the weather. This is a message for the parents and students at Eleva-Strum. There will be a two hour late start tomorrow, Monday, April 16th due to the weather. Results of April 3rd School Board Election Ausen - 277 Devine-McKillip - 420 Durham - 328 Husby - 479 Kris Devine-McKillip and Kristen Amundson-Husby win. This is a message for the parents and students of Eleva-Strum. Due to inclement weather there will be no school today. Thank you and have a good day. The Eleva-Strum Board of Education met with Al Brown of the Wisconsin Association of School Boards (WASB) on Wednesday, March 14th at its regular monthly board meeting to guide the Board on its superintendent search. Mr. Brown will be here on Wednesday, March 21st to meet with various focus groups to get input from these groups as to what leadership skills/styles they are looking for in the next superintendent of the Eleva-Strum School District. The community session will be from 5:30p.m. - 6:15p.m. on March 21st. Mr. Brown will ask each focus group participant to rank in order of importance such characteristics as Expertise, Leadership Style, Specialized Skills, Personal Characteristics, Strengths of the District, and Challenges of the District. The District invites you to join us for this community session in the Central LMC. Eleva-Strum schools will be running two hours late today due to inclement weather. Menu change notifications will now be sent out via our mobile app and the Live Feed on our web page. If you do not have our Free App please download it from your App Store and then reference the following article to configure the app to get the notifications you want. http://www.esschools.k12.wi.us/article/32982?org=eleva-strum You will need to select the "Menu Changes" notifications to get the alerts related to changes in our breakfast of lunch menu. Hello. This is an important message for the parents and students of the School District of Eleva-Strum. We will be having a two hour late start today due to inclement weather. The girls WIAA game tonight has been moved to Wednesday night at 7:00 p.m. Disregard any earlier information that we would play. There are still concerns about road conditions. There will be no school at Eleva-Strum today due to inclement weather. Please stay safe and have a great day. School will be closing early today due to incoming weather. The Strum Elementary will be released at 12:30 p.m. and busses will pick up at Central after that. Tonight‘s basketball game will not be live streamed. This is an important message for the parents and students of Eleva-Strum. Due to the weather Eleva-Strum will be having a 2 hour late start today. Hello. This is an important message for that parents and students of the Eleva-Strum School District. There will be no school tomorrow due to inclement weather. Please stay safe and have a great day. The Middle School Girls Basketball game that was postponed on January 11th has been rescheduled for January 22nd at Fall Creek. 5:00 E-S vs Fall Creek. 6:00 E-S vs Cadott. This message is for High School Students only. Due to the weather we will be making up the second day of semester finals on Monday, January 15th. The start of second semester classes will start Tuesday the 16th. If you have any questions please email Mr. Kelly. The Boys Basketball game scheduled for tonight vs. Gilmanton has been postponed. The make-up date is this Saturday, Jan. 13th @ Gilmanton. JV game at 1:30 p.m. Varsity game to follow at 3:00 p.m.
Due to inclement weather there will be no school at Eleva-Strum today. Family Night Announcement. E-S Middle School Student Council would like to invite the middle school families to a family fun night hosted at the E-S High School on Tuesday, January 30, 2018, from 6-8pm. Events will include board games, Family Jeopardy Challenge, Ping-Pong, and open gym. Free admission and popcorn will be provided for all families that attend this event. Hope to see you there! Could you get caught Being Unusually Good (aka the B.U.G award)? Each week one student from each class is chosen for a "no cost reward" and at the end of each month someone gets chosen for a BUG t-shirt and this months winners are pictured. Our Little Cardinals use technology on a daily basis to enhance their learning. The students in this picture are working on grammar, definitions, sentence structure and more. The Pride Is Alive! Calling errors. We'd like to apologize to many of you for the low lunch calls and texts that you received this afternoon. Calls/texts went out every minute from 12:21 - 12:27. We contacted the call center where the calls originate from and they identified a bug in their system. They are currently working on a fix, but said that a few of the remaining calls may still trickle through do to the system being backlogged. Again we apologize for this disruption in your day. COMMUNITY INFORMATION MEETING Central High School Library Wednesday, January 10, 2018 5:00-6:30 PM Bray Architects and School Board Members will be available to answer questions about the project and building plans for the Pre-K through 5 th grade elementary school addition to the High School. 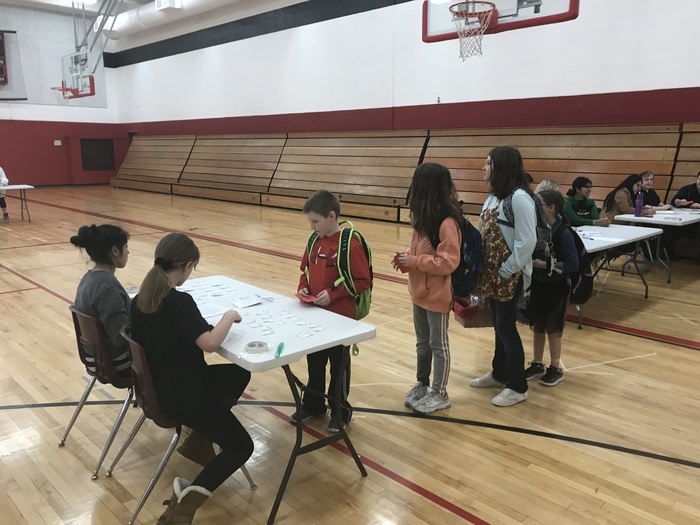 Current project information is available in the Commons areas of the High School/Middle School and the Strum Elementary School, and on the District’s website at http://www.esschools.k12.wi.us/elementary- school-addition. We are having some technical difficulties with channel 886. The board meeting is being streamed live tonight, but you will need to access it via our website. Thank you. 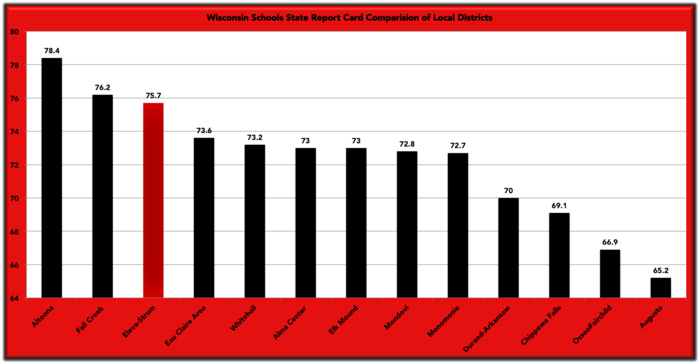 Eleva-Strum Cardinals stand near the top when comparing the state school district report cards! Great kids + great families + great staff = great schools! A hot chocolate party with Sue is a B.U.G Winners choice! Our BUG T-Shirt winners for the month of November!! Just a reminder to please send warm clothing for your children. We have students that are not dressed for the weather. If they don't have appropriate gear please contact their teachers for help. Please note that the MS Basketball games for tonight (Tues) @ Augusta had a time change as of yesterday. The first game is at 6:00 p.m. (E-S vs Cadott). The second game is at 7:00 p.m. (E-S vs Augusta). As the week wraps up we just wanted to remind you that the Boys Basketball team is in action tonight (Thurs) at home vs. Melrose-Mindoro and the Girls Basketball team plays tomorrow (Fri) at home vs. Whitehall. Good luck to everyone! Results from Nov. 21st, 2017 Recall Election. Joshua Stendahl has been elected to the School District of Eleva-Strum Board of Education. The MS Boys Basketball game @ Regis on Monday, Nov. 20 has been CANCELED. 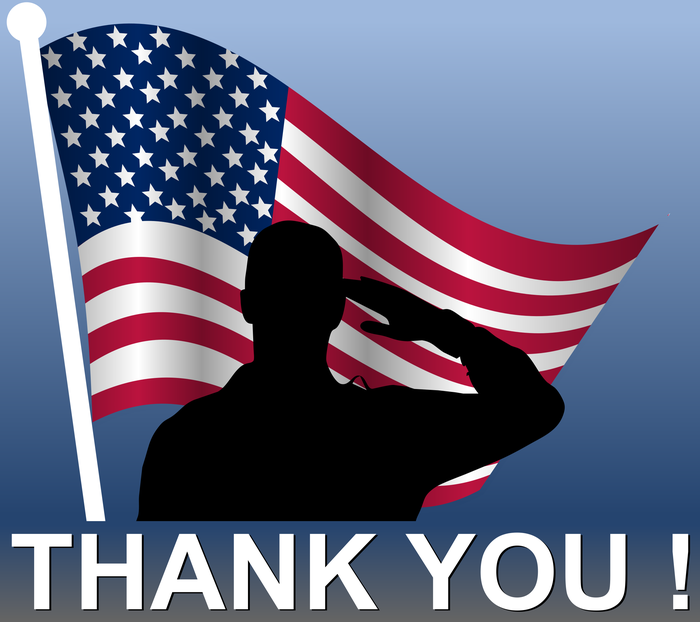 Reminder: The Eleva-Strum History Club will be hosting a Veterans Day Ceremony Today from 1:00-2:00 in the Central Auditorium. The public is invited to attend and enjoy musical performances by the band and choir as well as readings of student work. Please come out and honor our Veterans. Thank you to our local officers for taking part in teaching a lesson during Red Ribbon Week! Please Note: The Strum Primary Halloween parade will be at 1:30 p.m. on Tuesday instead of 2:30 p.m. to accommodate parents with children in the Eleva Intermediate parade as well. 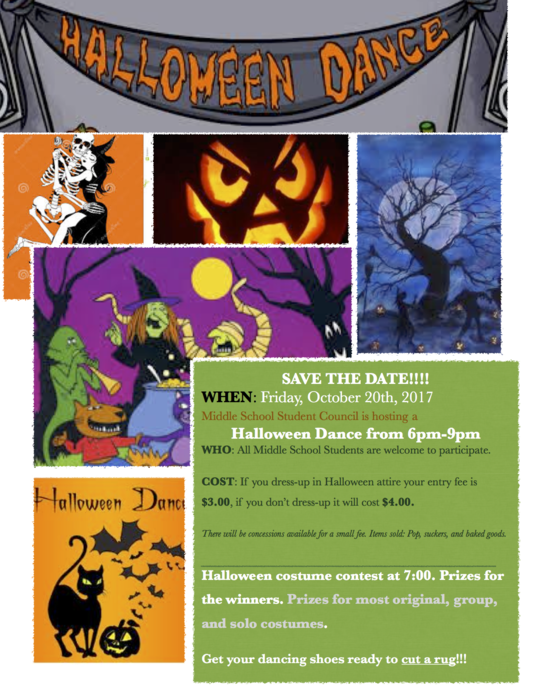 On Tuesday, October 31, 2017, the 4th - 6th grade students will be participating in our annual Halloween activities. This activity is hosted by the high school students who are members of our SADD (Students Against Destructive Decisions) organization. This year, we will have many fun activities for the kids to participate in. The afternoon will end with the annual parade of costumes, which will start at 2:30pm in the high school gymnasium. 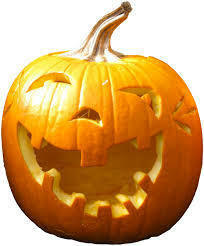 Please feel free to join us for the parade of costumes to see your student dressed up for Halloween. The Eleva-Strum History Club will be hosting a Veterans Day Ceremony on November 10th from 1:00-2:00 in the Central Auditorium. The public is invited to attend and enjoy musical performances by the band and choir as well as readings of student work. Please come out and honor our Veterans. The verification and drawing of lots will be in the District Office on Monday, October 30, 2017 at 10:00 a.m.
Tickets are now on sale for the 2017 Eleva-Strum Musical Cinderella. The musical runs from Thurs, Nov. 2nd - Sunday, Nov. 5th. Show times are as follows: Thusday, Friday, Saturday 7:00 p.m. & Sunday 1:00 p.m. Tickets are $7.00 and are available at the MS/HS Office. There is a MS/HS Band & Choir concert tonight at 7:00 p.m. Come on out and enjoy the music. The District will be sending out an all call to test our new calling system. This test call will go out at 6:00 p.m. on Wednesday, October 18th. If you receive a call in error or need the call to come to an additional number please contact Jill Larson (x2016) or Sue Svoma (x1153) to make the corrections. Thanks! Congratulations to the Strum Primary B.U.G. T-Shirt winners for the month of September! Way to show your Cardinal Pride!!! E-S will host the 1st round of the WIAA Girls Volleyball Tournament. Tuesday, Oct. 17 @ 7:00 p.m. vs Blair-Taylor. Good luck Ladies! Welcome to our new website. This is the Live Feed area where you will find quick posts. This will also show up on FB & sometimes Twitter.